Sarah Palin’s media ascent is a highly orchestrated affair. Her placement as the titular head of the hijacked Tea Party was accomplished by establishment operatives. There was nothing grassroots about it. She’s a Judas goat leading the faithful down the primrose path to world government and forever war.The elite can always count on the lesser of two evils shell game…. Palin comes off as less “socialist” than Barry Obama. Her script has all the right patriot cues. It does not matter that she is a neocon. Socialism, tax cuts, big government. Sarah was carefully trained. She knows the catch phrases and talking points. 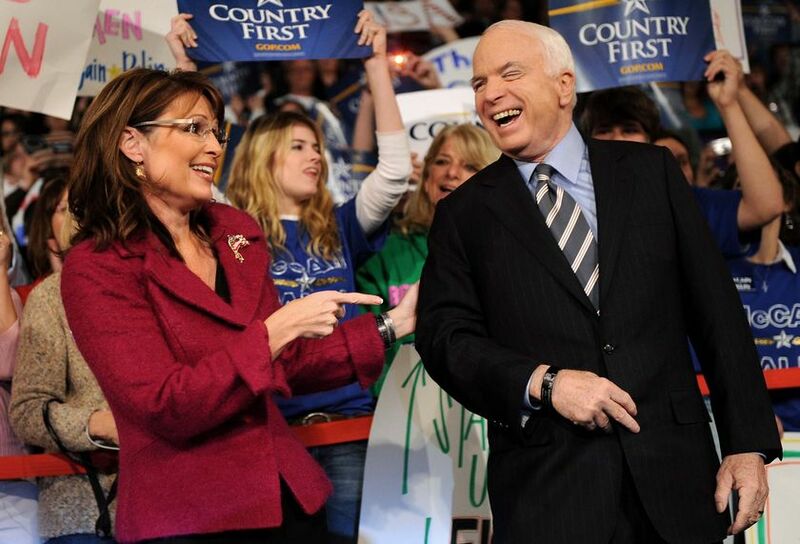 In the video, Palin tells us what to look forward to in the unlikely event she is selected to pretend she speaks for the American people. The possibility of mass murder in Iran is still “on the table.” Her neocon handlers have provided Sarah with the right talking points. “There is nothing wrong with America that a good old fashioned election won’t fix,” she said. “American exceptionalism” is code for “continued taxpayer subsidies for armed intervention at home and abroad,” all for the purpose of expanding the power of the central government and the continued enrichment of politically connected big business. That’s how sincere conservatives are fooled into supporting policies that directly promote the radical, big-government agenda of the Neocons. Is it any surprise that John McCain, a huge beneficiary of Zionist organized crime, would spawn political progeny with neocon tendencies?